Can our scientific calculators convert between degrees, radians, and grads? No, those conversions need to be done manually. What tests are calculators permitted for? AP Calculus requires a graphing calculator. See www.collegeboard.com for more information. For the GED, the FX-260 Solar is suggested. What calculators can be used for ACT or SAT? The page doesn't specify which models are acceptable, although it does specify some models that are not acceptable. For the most part, it presents guidelines as to what types of functions would not be acceptable. Is there any supplementary material for the graphing calculators? Can I connect the ClassPad to a personal computer? Yes. You can transmit and receive data, and transfer images using the ClassPad Manager software, which is on the CD-ROM that comes with the ClassPad, along with the included SB-300 USB cable or the optional SB-305 serial cable. You can transfer the programs and materials (e-Activities) of the ClassPad made using a personal computer/ClassPad to the ClassPad using ClassPad Manager. Why do I keep getting an error message when I try to perform arithmetic or trigonometric calculations? The error messages should indicate what the problem is. See the error message list in your calculator's user's guide for more information. Cause: The calculation result is outside of the allowable calculation range or you are trying to perform an illegal mathematical operation (such as division by zero). Action: Check your input values and adjust them to allow the calculation result to be within the allowable range. If you are using memory for your calculation, make sure that you check the memory value. Cause: The calculation expression is the wrong syntax, or the program you are using contains a syntax error. Action: Press the or key to display the location of the error, and correct it. Cause: The calculation you are performing has caused the capacity of the numeric stack or the command stack to be exceeded. Action: Simplify your calculation expression. You could also split your calculation expression into two or more parts and execute the parts separately. Cause: You executed a matrix, graphing, or some other operation that caused remaining memory capacity to be exceeded. Action: Delete memory data you no longer need. Make sure that the number of variables used in your expression does not exceed the number of variables that are available. Other error messages may appear to let you know that a calculation you are trying to perform is not compatible with your current mode, angle unit, display, or other setting. If this happens, check the setup of your calculator and try again. Help! I accidentally erased my Add-in icons (Geometry, Picture Plot, and Conversion)on my Prizm How do I get those back on my calculator? Our suggestion, when resetting the calculator, is to reset the Setup Data and/or the Main Memory. But, if you happen to reset the Add-Ins and Storage, you will need to go to CASIO’s Worldwide Education website, www.edu.casio.com. Here, you will be able to download the Add-In software and the individual images and image series, to put back on your calculator. You will need to connect the calculator to the computer with the USB cable that came with the calculator. If you have misplaced the USB cable that came with the calculator, please contact your regional sales representative (http://www.casioeducation.com/support/community/regional-map) and they will be able to get one to you. How do I clear the memory on my Casio fx-9750GII? How can I turn a radical into a decimal? Once you get an answer, press the f-->d key and the radical with change into a decimal. Do you have to purchase the calculator prior to taking the on-line course? No, you will be prompted to download the free calculator emulator to you computer to take the course. Upon completing the course You will receive a FREE calculator. 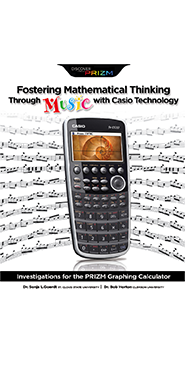 Does CASIO have a program that allows a teacher to use calculators on a trial basis? Yes, the Casio loaner program lets Schools try before they buy. That's right test drive any of our Educational Calculators free for 30 days. To get started, fill out a loaner request with your schools information and click submit. I'm taking the GED, which calculator should I use? 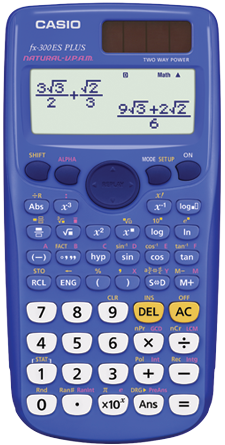 The fx-260 has been the calculator endorsed and recommended for the taking the GED. By 2012 the fx300ES will also be approved for the GED. Is any of your software compatible with a Macintosh? Not currently but we're working on it and should be available soon. Do you have any kind of data collection device? Yes, the EA-200, is our data collection device and works with our graphing calculators and ClassPad. It comes packaged with everything you need to get started including Optical, Voltage and Temperature probes. 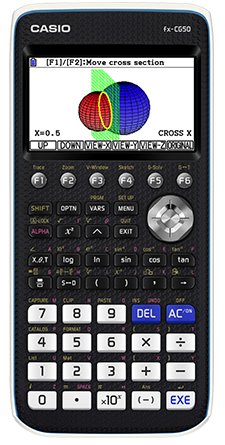 Is the Geometry application on the fx-9860 series considered CAS? Do you receive credit or professional development hours for taking the course(s)? Credit for Professional Development varies from state to state and you can inquire with the district's PD coordinator to find out your states policy. Which models can plug directly into a Casio projector? 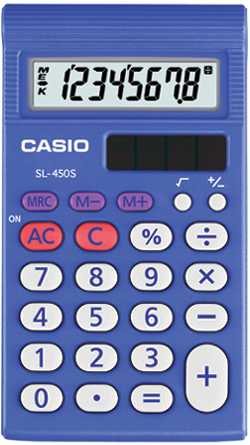 Any Casio Graphing calculator with a USB port can be directly connected to any Casio projector with a USB port. Do you have any calculators that have overhead units? Yes, all of our educational calculators have a corresponding overhead model. Listed in school accessories. What kind of educator support does CASIO offer? My calculator will not turn on or is frozen. If your calculator does not turn on, push the restart button on the back of the calculator with the end of a paperclip or something similar. If that doesn't work try removing and reinserting the batteries, making sure they are installed correctly. CAS stands for Computer Algebra System and is a software program that facilitates symbolic mathematics. The core functionality of a CAS is manipulation of mathematical expressions in symbolic form. Can the fx-9750GII and the fx-9860GII be used on national exams? Which CASIO models have CAS? Natural Display shows formulas, inputs and displays results exactly as they appear in a textbook. Which CASIO calculators offer natural display? The fx-300, fx-115, fx-9860GII, Slim, and ClassPad all have Natural Display. Can we purchase a site-license for an emulator? Yes, Emulators are available for a few different models and are sold as single or a site license for the school. Check our product pages or speak to one of our representatives. What is the difference in the fx-9860G series and the GII series? The fx-9860Gll Series has a natural display input and output, a backlight, preloaded geometry and E-con programs, increased program functionality. What is the difference in the fx-9750G series and the GII series? The fx-9750Gll Series has more memory, a built in E-con data collection program, USB port, increased program functionality. The ability to connect to our projectors and a optional computer emulator. Does CASIO have any on-line courses? Yes we have Free online courses for the fx-9860G Slim & ClassPad 101. 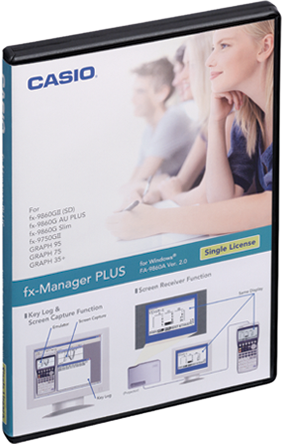 We also have free online instructional video for the fx-9750/9860Gll Series Calculator. My PRIZM calculator displays my answers as a fraction. How can I change it to display a decimal answer? If you would like to change the last answer to a decimal, simply press the F D button, located right above the 8 button. The F D button (Form to Decimal) is a toggle switch and will switch between a fractional answer and it’s decimal form. This button will also change any answer in Standard Form to a decimal and vice versa. For example, if you’re answer is 2 , by pressing the F D button, the calculator will change your answer to its decimal form. Also, using the division button, instead of our fraction button, will display answers as a decimal.